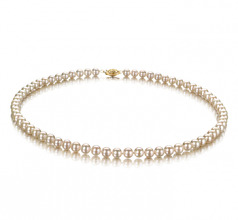 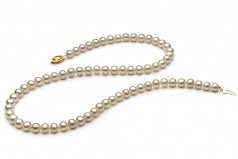 The sophisticated woman desires to be dressed in the best and most elegant pearls. 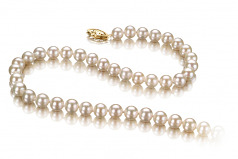 With a (AAAA) luster, the sheer shine alone could draw and capture her attention to the beauty and overwhelming style of the White 5-5.6mm Freshwater Pearl Necklace. 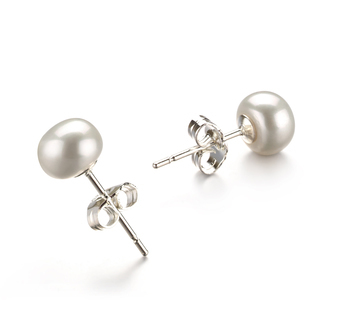 With small pearls, the timeless and classic feel comes alive with the slightly out of round shapes. The unique and desirable feel and enhanced with the glittering profiled provided by the high quality luster. 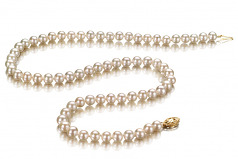 With a (AAA) body and overall grade, the sophisticated woman would find the total package to be more than desirable in overall appearance and quality. 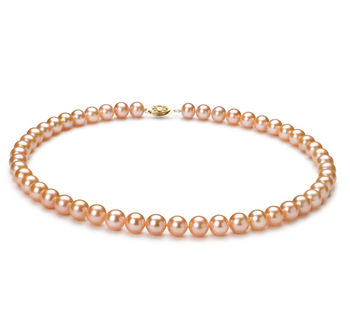 Each pearl is hand strung on a fine double knotted silk thread with each pearl being separated with a hand tied double knot to ensure no two pearls rub, touch or cause any damage to its neighboring pearl. 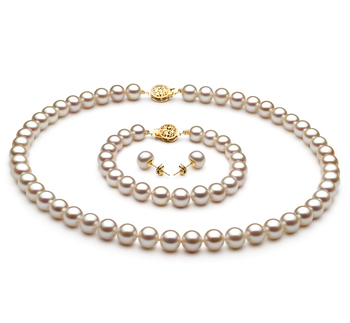 Generations are about to take on the lives of these pearls, their beauty and craftsmanship needs to last for a lifetime.